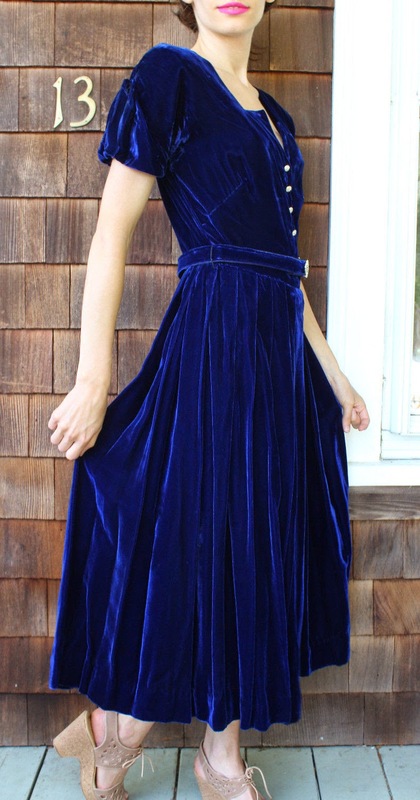 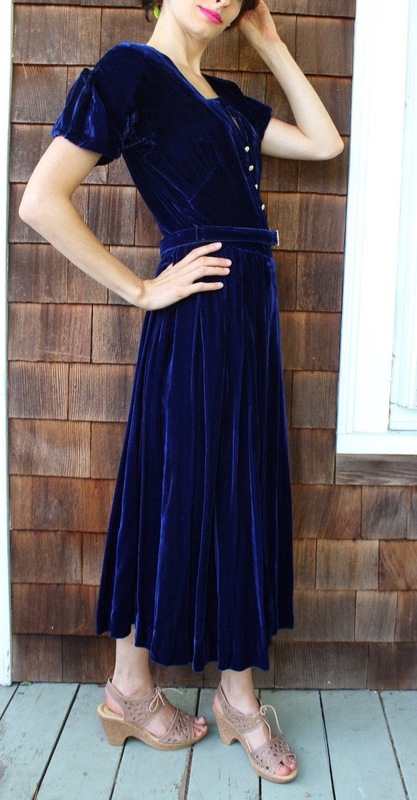 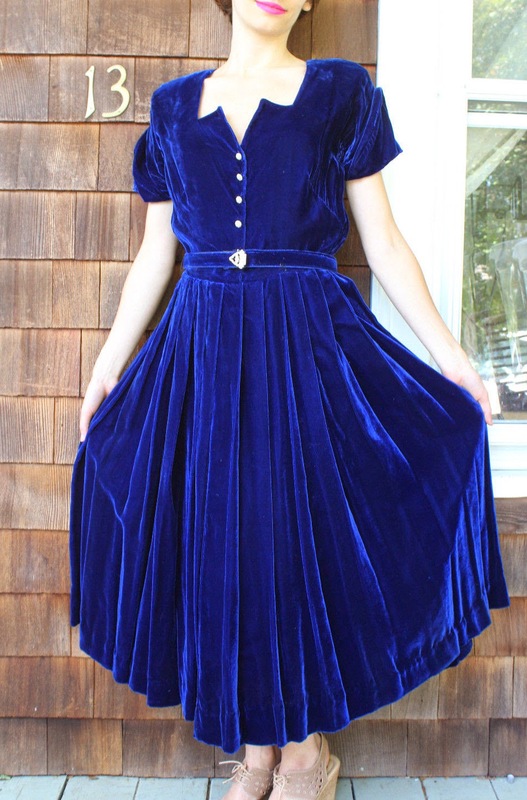 Fantastic vintage dress made of luxurious might night blue velvet! 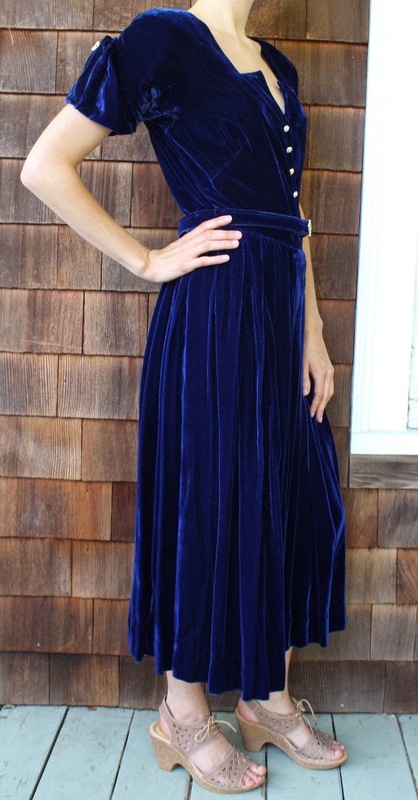 This dress has an amazing neckline! 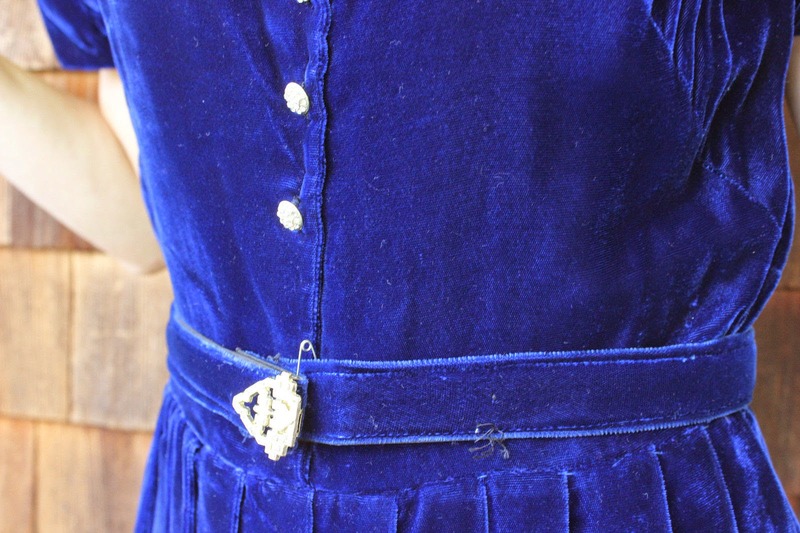 Tons of little details make this dress so stylish! 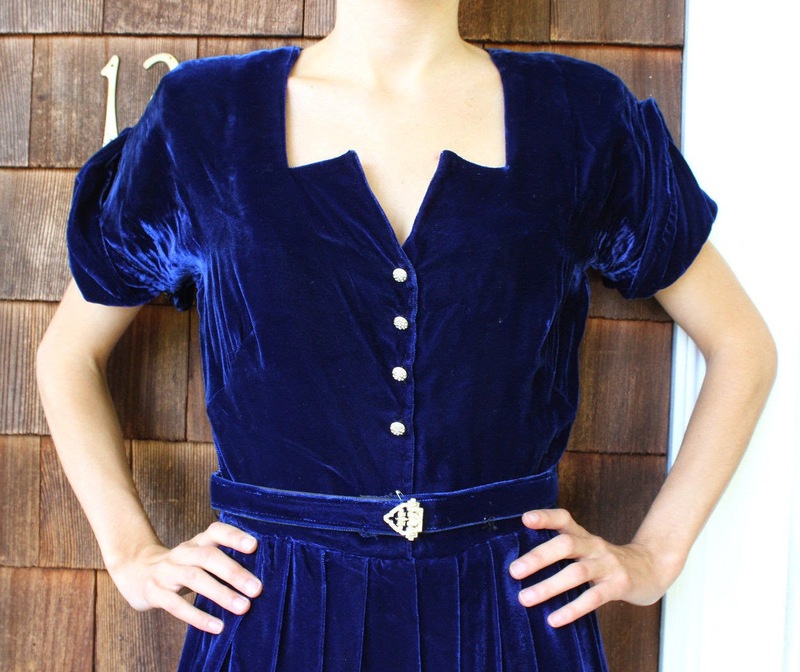 Zips up the side, full flowy skirt, tailoring! Rhinestone buttons up the front and a rhinestone belt (the clasp is broken, you must pin it to wear it, see pics). 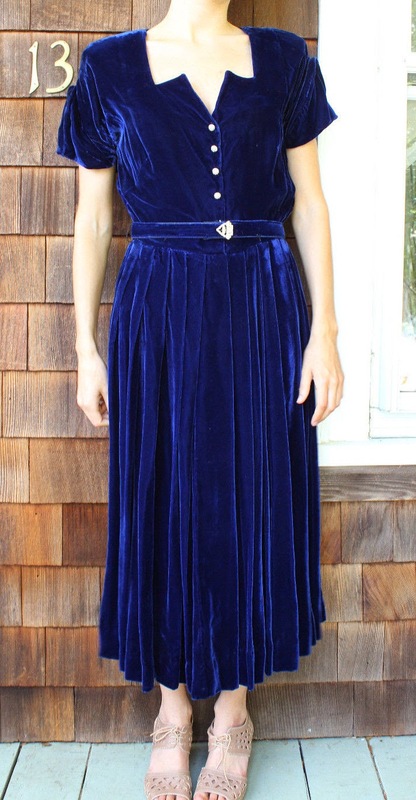 Great vintage condition! 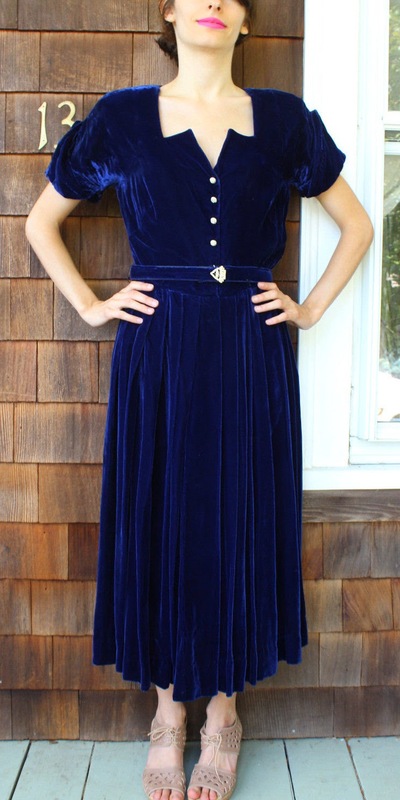 I think I've found the pattern for my Christmas dress this year... about 1939 based on the sleeves and the amount of fabric in that skirt.